Will Willard Engineer a New Hostage Crisis in 2012? I feel the need to bring up history to prevent us from repeating horrible mistakes. 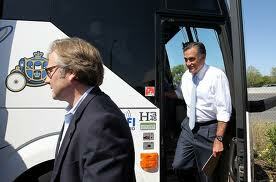 With Willard Romney, mistakes of monstrous proportions are practically guaranteed. 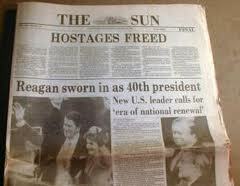 Reagan was inaugurated January 20, 1981, the same day our hostages were released from captivity in Tehran, Iran. The Iranians stormed the embassy 444 days earlier and held the Americans hostage. Coincidentally, they were released the same day Reagan was inaugurated. Coincidence? Hardly. The GOP leaves nothing to chance when they are orchestrating a power grab. They are, if anything, Machiavellian in their strategy. Just look at what Karl Rove has done. This is why we must be diligent in exposing them for their criminality and expect nothing less than the most sinister from the Republicans. 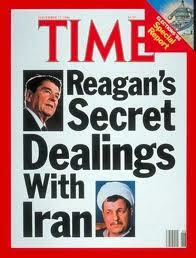 It seems William Casey, Reagan’s campaign manager, was quite busy with the Iranians prior to election day, 1980. Along with a carefully constructed campaign to smear Carter as weak combined with overblown gas shortage claims, they were able to pull off a victory that would result in employing Reaganomics, largely responsible for the demise of the middle class. Casey was a ruthless man who would stop at nothing to win. He negotiated with then president Bani-Sadr and finagled a release in exchange for weaponry from Israel. This was his October Surprise . Carter had far too much integrity to exchange human lives for guns and ammo. Reagan’s people in the GOP of course had other ideas. It is an event well documented by Gary Sick, who was on the staff of the National Security Council under President Carter, and was the principal White House aide for Persian Gulf affairs from 1976 to 1981. He wrote October Surprise: America’s Hostages in Iran and the Election of Ronald Reagan. Since Romney and his GOP are always touting Reagan as practically the standard-bearer for how a president should behave, it is worth bringing up. Romney seems to be very hawkish about war with Iran, even if he’s never spent one day in the military. In fact we’ve actually asked the very question Elect Romney, Get War in Iran? It seems worth noting this previous event as history does tend to repeat itself. It is entirely possible he and his wealthy minions are negotiating this very minute with Iran to create a manufactured crisis of epic proportions to steal the election in November. After all, he actually believes Reagan was truly responsible for Iran’s cooperation in 1981. He also has no issue with profiting from corporate dealings in Iran. He claims to be religious, but his religion is really money and power disguised as Mormonism. He’ll stop at nothing to rule, no matter what the cost in blood for America.